FALLS CHURCH, Va., October 3, 2018	(Newswire.com) - ​Creative Information Technology Inc. (CITI), a leading provider of EHR application decommissioning, migration, archival and data analysis tools, today announces their partnership with Paragon Consulting Partners LLC (PCP Imaging), experts in healthcare information technology, interoperability and data management. Together CITI and PCP Imaging are introducing a complete solution for the deployment, optimization and management of enterprise EHR systems and data to healthcare organizations in the western United States who may be expanding through mergers and acquisitions, struggling with legacy and/or disparate systems or undertaking their first enterprise EHR initiative. Paragon Consulting Partners LLC brings a strong track record for system transition and data management and will allow us to better assist western care providers who are facing challenges with maintaining disparate systems and outdated technology, allowing them to measurably improve operational and fiscal efficiency and build a platform for clinical and business analytics and intelligence. 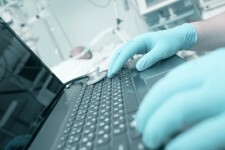 The CITI-PCP Imaging collaboration can help healthcare organizations who are considering an enterprise EHR deployment, looking to optimize an existing EHR or are undertaking system consolidation efforts as a result of mergers, acquisitions or divestitures by providing the tools and professional services required to decommission legacy systems, define data migration and retention strategies, optimize workflow and build a platform for data analysis to facilitate continuous improvement and maximize return on investment. Paragon Consulting Partners serves the healthcare industry as seasoned, strategic business and management advisors. They specialize in assisting medical organizations with their IT and technology infrastructure needs including data management, enterprise imaging, system design and implementation, cardiovascular information systems, radiation dose programs, remediation technology, RFP and vendor selection, and practice management and staffing needs. For more information, visit www.pcpimaging.com or follow them on LinkedIn, Twitter, Facebook and YouTube. CITI’s DRIS is one of the premier data conversion and archival applications currently available to healthcare organizations who are moving to new EHRs or who are looking to decommission costly legacy applications. DRIS has been implemented and is currently being used by a number of leading healthcare organizations who are migrating to Epic and other EHRs. DRIS also allows access of legacy data from new EHR systems for compliance, audits and clinical decision support. 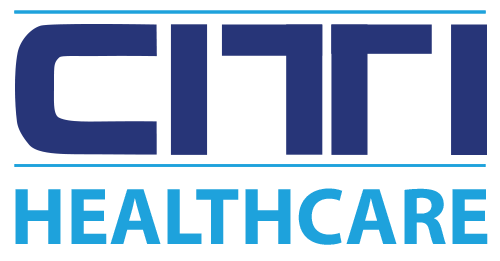 Additionally, CITI Healthcare offers Revenue Cycle Management Services, Legacy Support and Managed IT Services. For more information, visit www.citi-us.com or follow them on LinkedIn, Twitter, Facebook and YouTube. Source: Creative Information Technology Inc.
Paragon Consulting Partners, LLC are a firm of experts in the HealthIT field specializing in medical imaging management, project, technology and clinical consulting services.